We believe that Christian baptism by immersion in water is a public identification with Jesus Christ in His death, burial and resurrection. Although baptism is not required for salvation, it is commanded of all believers and is for believers only (Matthew 28:19-20;Acts 2:38, 41; Acts 18:8). Scripture shows that a person was baptized after personally receiving forgiveness of sin by accepting Jesus Christ. The waters of baptism are a symbol of death, burial, and resurrection to newness of life that happens when a person becomes a new creation in Christ (Colossians 2:12; 2 Corinthians 5:17;Romans 6:1-4). 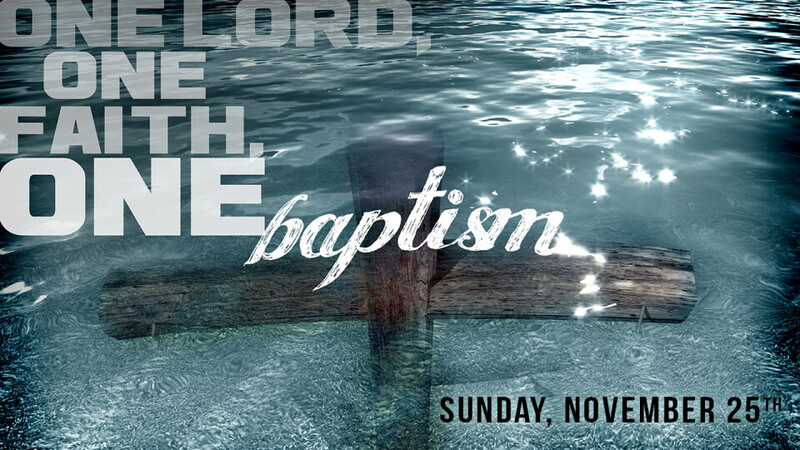 The next opportunity for baptism is Sunday, November 25. If you are interested in being baptized, please fill out this application.